The goal of this site is to promote professional development among risk management and safety professionals and to remove the barriers that prevent people from obtaining their ARM designation. The most significant barriers are cost and and finding a class that fits with your schedule. 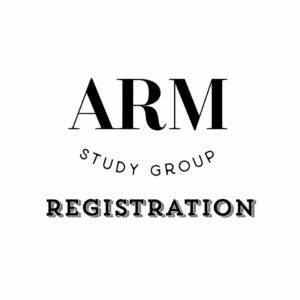 While a traditional classroom course can cost over $500, the ARM Study group is only $50 for each of the ARM 54-56 courses and $100 for the ERM 57 course. Best of all, you can access course materials 24/7 on demand via a secure YouTube channel and/or download to your mobile device. Please visit the Course Registration page to register and starting your classes today.